TREC International provides leadership direction, value-based educational training and transforms Teens energy for global competitiveness. The “2017 Inter -School Competition On Integrity And Anti-Corruption Matters” is the first of its kind in the state. 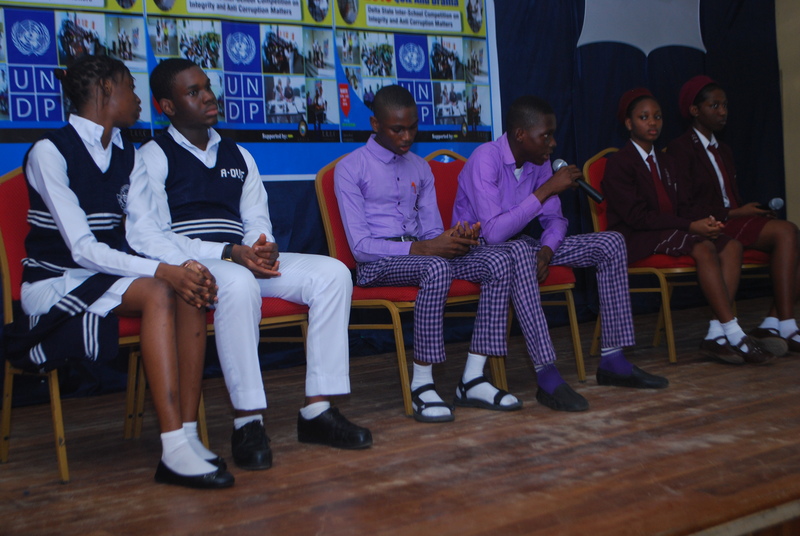 It also started when schools were contacted and competition materials sent to them in their various senatorial zones. The competition which commenced with senatorial zones held on the 14th -16th of October 2017 starting with Delta Central Senatorial Zone on the 14th of October 2017 followed by Delta South Senatorial zone 15th and concluded with Delta North Senatorial Zone. Schools competed in the following areas: Quiz, Public Speaking and Drama. Speaking during the opening ceremony, the United Nation Development Programme (UNDP) focal person and Director, Oversee Development Assistance Department of the Ministry of Economic Planning, Mrs. Ogbewe Patience represented by Mr. Majoroh Uruemu said UNDP recognises the consequences of massive corruption in Nigeria while believing that if the young people are educated on integrity and anti-corruption matters, this will result in youth been able to make informed decision on accountability and anti-corruption issues. During his speech, Mr. Lotanna Okoye the Executive Director of Trec International welcomed all the participants and also appreciated the UNDP for supporting the activity and further stressed on the need for more rapid creative approach towards the eradication of corruption and the benefit of actively engaging our Teens in this crusade.A slogan to sink down the message was promoted and adopted"Act Right"
Have experience with Teens Resource and Enhancement Centre Int'l (Trec International) ?